There is really something special about seeing your town or neighborhood from the air. Sometimes locals don't even recognize it! It is fun to see the configuration of the houses and beauty in the patterns. 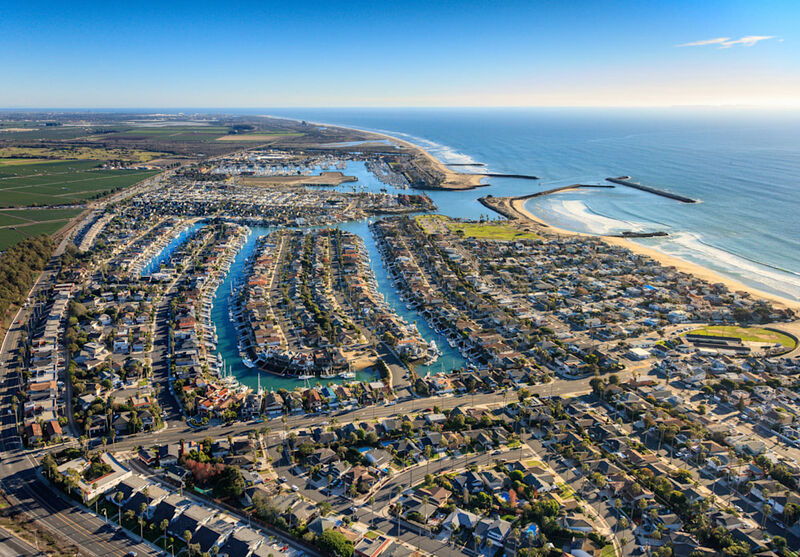 This aerial of the Ventura Keys was taken from an open door helicopter to get a high quality, detailed image. I felt like it really captures the beauty of one of our prettiest seaside neighborhoods. Available here in a 13x19 Luster print matted in an 18x24 white double mat.